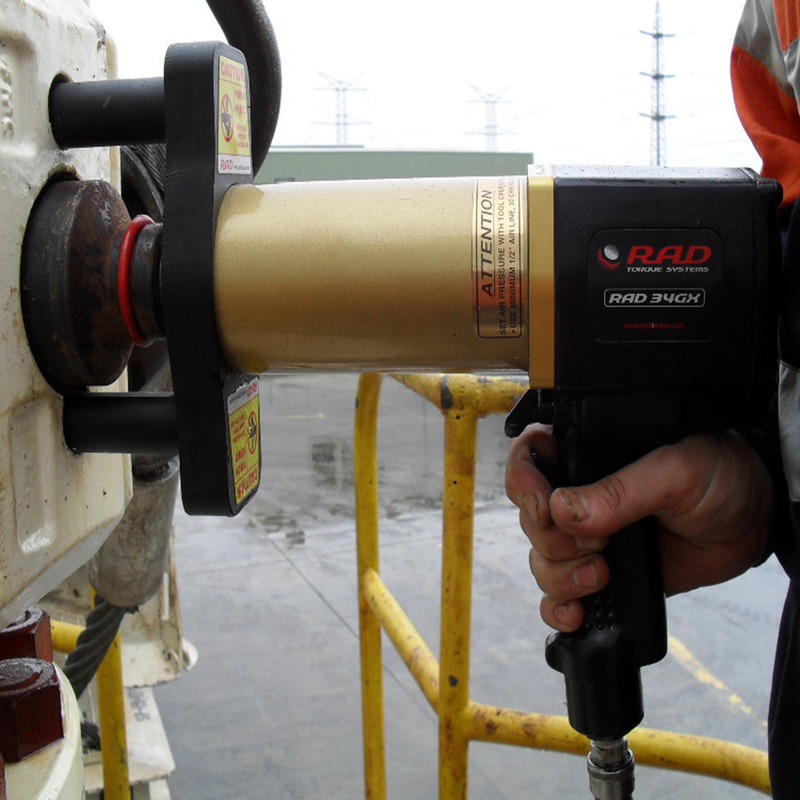 RAD® pneumatic torque wrenches are air powered planetary gear reduction torque multipliers designed to deliver the most powerful, accurate and safe torque load of any tools on the market today. Our patented gearbox design allows us to configure very high gear ratios (up to 686:1) developing extremely high torque values from a lightweight and ergonomic hand held pistol grip tools. 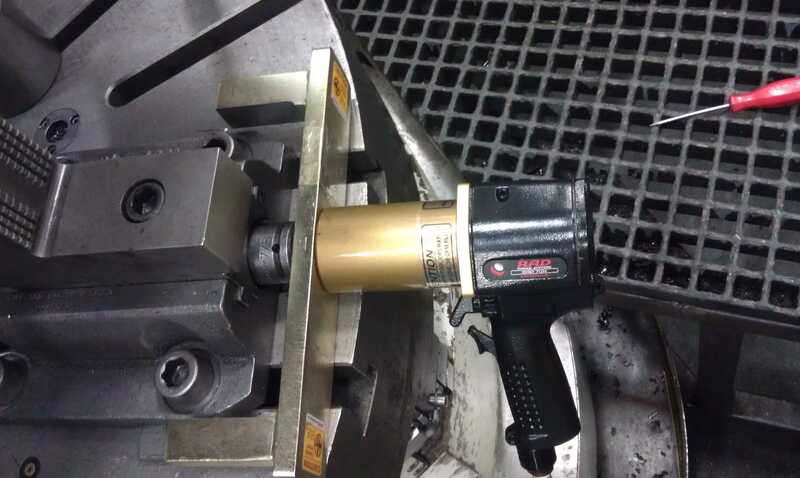 RAD Torque tools are being used Worldwide in many industries where power, durability and accuracy are considered critical. Our smooth constant rotation drive system make our tools ideal for applications other than bolting fasteners such as valve actuation, hopper car door opening, running large threading taps, etc. 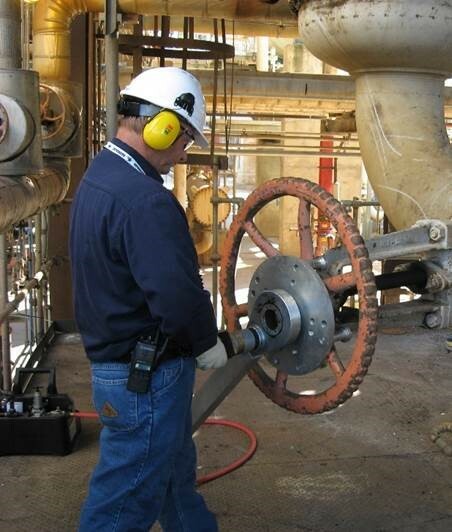 RAD® pneumatic torque wrenches are regularly replacing more traditional bolting tools for safety reasons and cost effectiveness. 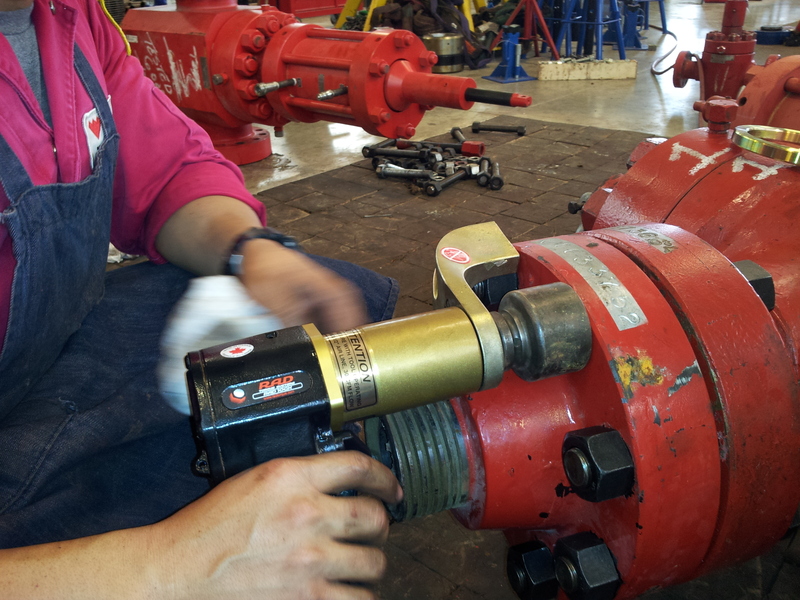 Every RAD® air torque wrench is individually calibrated and traceable to NIST standards to help ensure joint integrity. 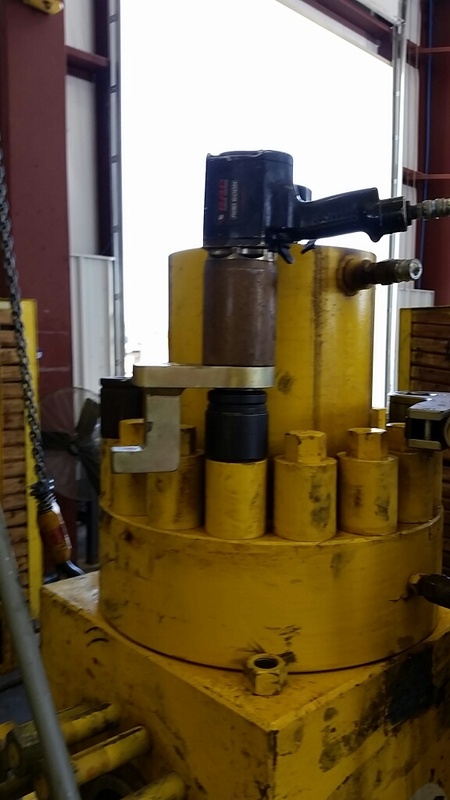 Our tools are many times more accurate than impact wrenches and in many cases can be more precise than click type manual torque wrenches, which are often over pulled by operators.